What’s going on in Mazda’s RX department? Rumors are flying of an RX-7 revival, an updated RX-8, and a new rotary engine, but the truth is likely to be a bit less exciting that the rumors would have you believe. 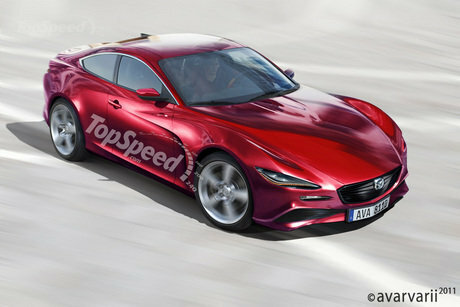 At the moment, the only real product is the RX-8, due for an update in 2011 as a 2012 model. While the car and its styling were fairly revolutionary when they hit the scene back in 2003, the new model and third generation of the car is likely to be far more evolutionary than revolutionary. Mazda’s own design boss, Ikuo Maeda, told AutoCar that while the car will feature Mazda’s newest design language and technology, it won’t be a radical change from the current formula. That means the front-engine, rear-drive, rotary-powered, four-seat sports car will likely stick around, though it’s not know what will become of the rear-opening clamshell doors. Unfortunately, the next-gen RX-8′s big star likely won’t make it to the debut party. Mazda is hard at work at a next-generation rotary engine known as the 16X, so called for its larger 1.6L displacement compared to the RX-8′s 1.3L Renesis engine. The larger displacement lends itself to improved torque, a common complaint about the RX-8, but the rotary’s thirsty and dirty nature are making the engine a tough prospect in the days of fuel-efficiency and low emissions. In addition to the extra displacement, that evolution is also expected to include direct injection, the first ever for a rotary engine. If it’s going to outgun the Renesis’ potent 232 hp, disappointing 159 lb-ft and even more troubling 16 mpg city/22 mpg highway on premium fuel, the 16X has to be a big step forward for rotary engines, and being the purveyor of all things rotary, we’re sure Mazda wants to get it absolutely right. Some of you may have been disappointed in reading above that the next RX-8 will likely still be a four-seater, since making it one was a big departure from the original RX-7. Maeda has told AutoCar that he’d love to make a real RX-7 with just two seats and rotary power, but he has to get it past the management first. With the rotary’s aforementioned aversion to fuel-economy, torque, and emissions laws, though, it’ll be a tough sell. The fact that Mazda already has a two-seat sports car in the Miata and a rotary-powered sports car in the RX-8 makes a third sports car that essentially combines the other two a tough proposition, especially in these cash-strapped times.